When the front desk at my apartment building called me to tell me that a very large clown was holding a sign with my name on it downstairs, I wasn’t concerned. This was probably a great relief for them; indeed, there are few people that a desk clerk could encounter that would be more unsettling than a giant, silent, baldheaded, sad clown with a golden crown, an old suitcase, and a lantern. “Send him up,” I said. The sad clown was my buddy Puddles, and we were about to make one of the viral videos of 2013. And, you want to know what he’s been up to most recently? We’re glad you asked. Just this week Puddle was featured on America’s Got Talent where he advanced to the next round by singing his rendition of PMJ’s Chandelier. Check out the nerve wrecking moment for this sad clown at the bottom of the page. 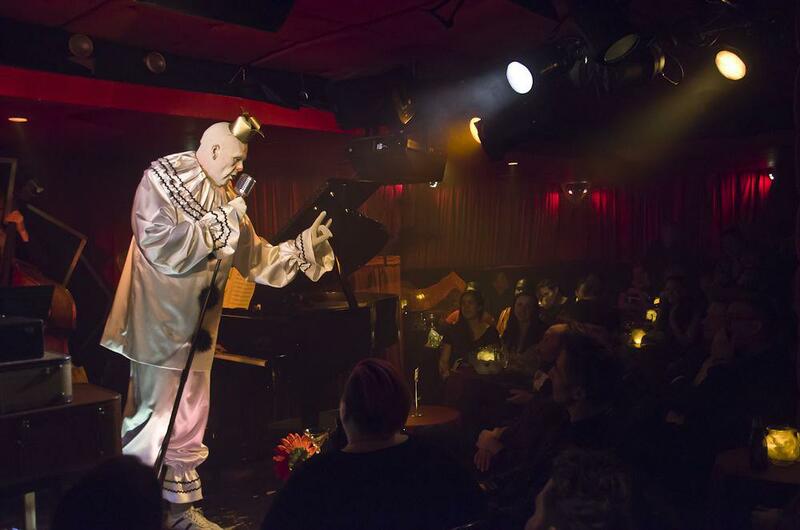 I first met Puddles when I was working as the music director at Sleep No More, the immersive Off-Broadway show in NYC (check it out if you’re in NYC!). Puddles was one part Andy Kaufman, one part Tom Jones. He would typically begin his performances by standing silently for nearly five minutes, nervously scanning the room and trying to find the courage to sing. The dramatic tension was unbelievable. When Puddles did finally sing, he unleashed a glorious baritone voice that filled the room and elicited cheers from everyone. I had never seen anything like this before; I just had to put him in a video. Puddles at the Manderley Bar, where we first met. 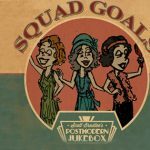 Puddles wasn’t too familiar with Postmodern Jukebox or YouTube in general at the time, but he let me know in his own way that he was happy to contribute his talents. Initially, I had picked “Mirrors” by Justin Timberlake (I imagined him singing to his reflection), but then a new contender began climbing the charts: “Royals” by the critically-acclaimed New Zealand singer/songwriter Lorde. It was almost too perfect: a song written by a 16 year old girl about being an outsider, sung by a giant sad clown. 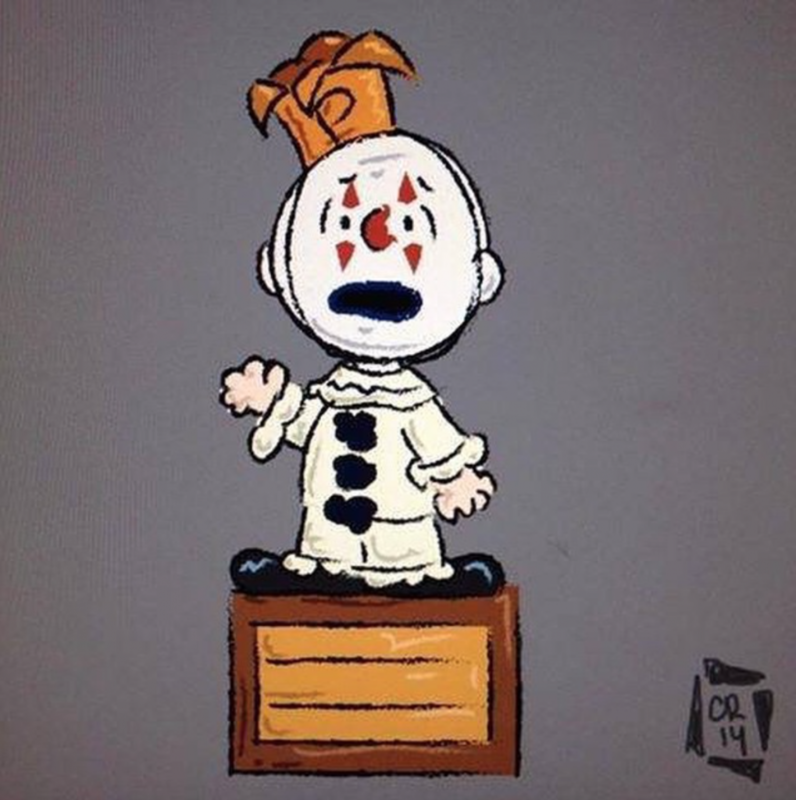 There was irony in the title- sure- but beyond that, Puddles was the perfect character to convey this message; after all, he was the ultimate outsider. I knew that it had so much potential to be an iconic video, and I took special care to ensure that the video preserved the spirit of the lyrics. 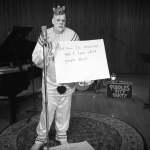 I billed Puddles as the “Sad Clown with the Golden Voice” and released the video on Halloween. It spread like wildfire. It made the front page of Reddit. News blogs shared it because of the Halloween / Stephen King connection. YouTube itself promoted it as an example of a creative and unexpected cover. The view count soared, and overnight, Puddles became a celebrity. 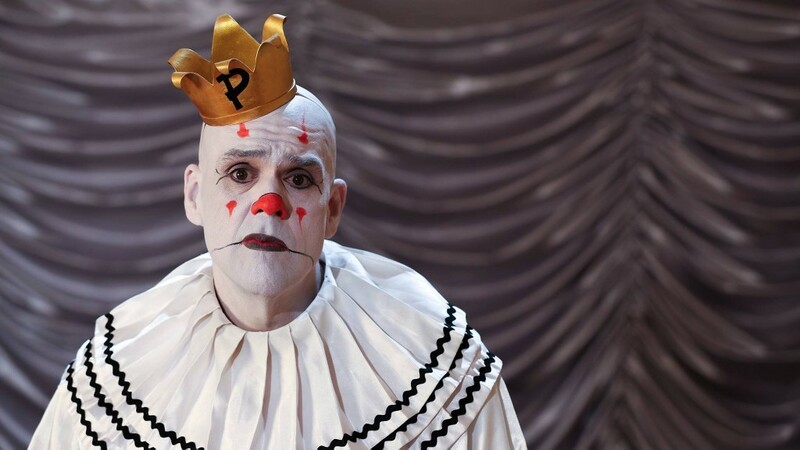 Since then, Puddles Pity Party has been busy touring the world, but he's always made time to stop by for a visit. 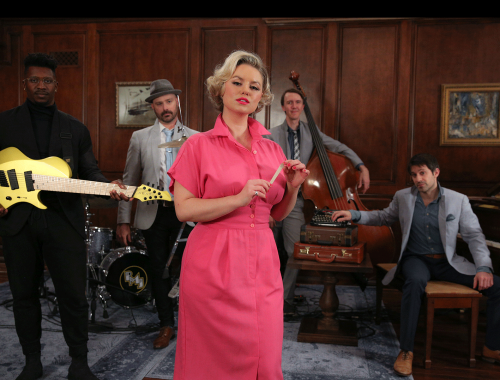 Sometimes, he's giving new meaning to songs like Sia's "Chandelier..."
He even manages to surprise #PMJtour audiences with spontaneous visits from time to time. In some ways, Puddles was made for the modern Internet age. He’s a reflection of all of our loneliness and confusion in a world that sometimes seems to have grown increasingly lonely and confusing. At the same time, he reminds us that there is greatness inside of each of us, and we needn't be afraid to show it off. 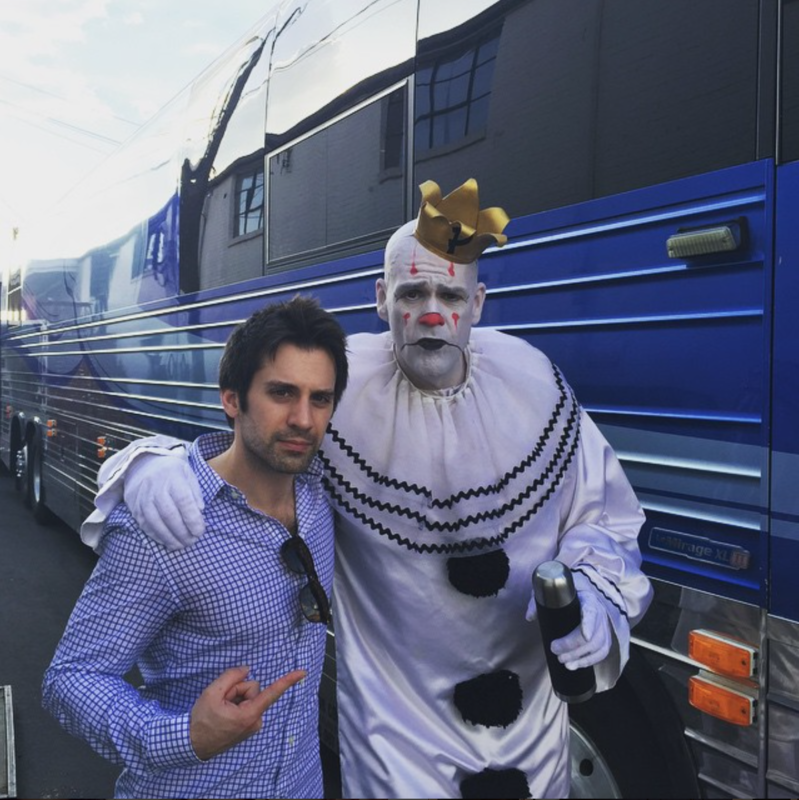 If you happen to cross paths with Puddles, overcome your coulrophobia and get to know him a bit. You might just find that you've already walked a mile in his [size 16] shoes. For more of Puddles, check out his own YouTube channel here.